Located in the heart of the Kaufman Arts District, a thriving cultural hub, the property is currently 100% leased to and occupied by United Artists Theatre Circuit, Inc. (UA) under an NNN lease. The property consists of an 84,000 square foot, 14-screen, stadium-seating, megaplex. 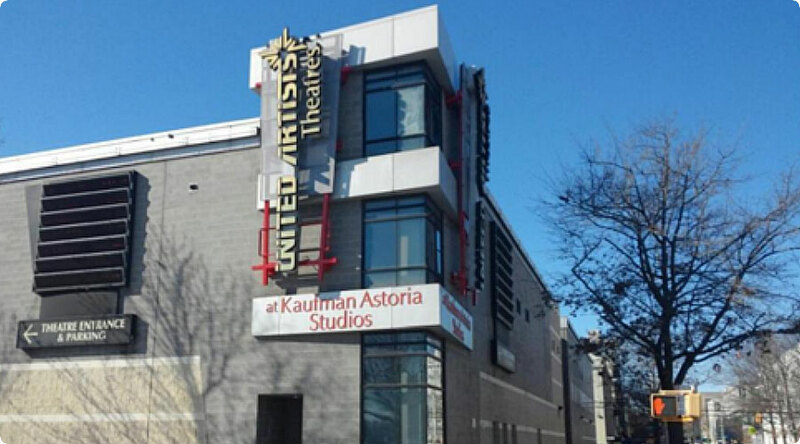 Since opening, UA Cinemas at Kaufman Astoria Studios consistently ranks as one of the top-grossing UA locations in the country and is currently generating sales in excess of $1 million per screen. Spanning almost an entire city block, this property presents an exciting opportunity for future redevelopment with its excellent location and transit access.